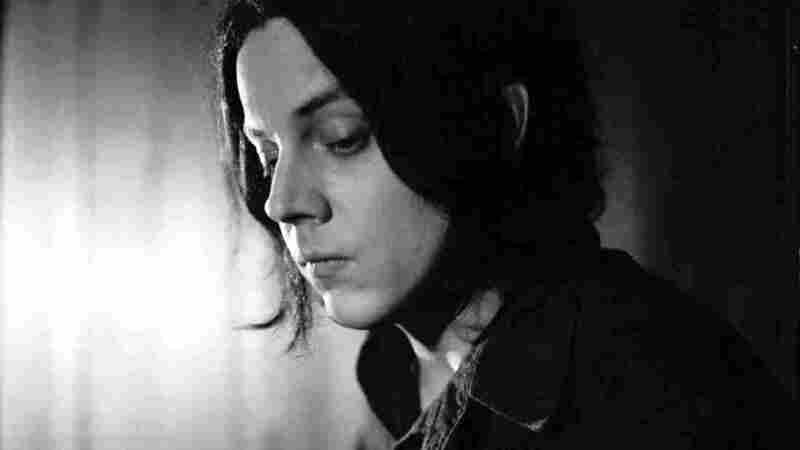 Between his bands The White Stripes, The Raconteurs and The Dead Weather, as well as his more recent solo work, Jack White has won 12 Grammy awards and sold millions of albums. The through-line of his work has always been a big electric blues sound, but his latest album, released this week, strips all that away. White joined weekends on All Things Considered to chat with guest host Ray Suarez about Acoustic Recordings 1998-2016, a 26-track compilation of new and old songs performed on acoustic guitar — and about some of his more notable collaborations and business ventures. Hear their conversation at the audio link, and read on for an edited version. Ray Suarez: You’ve had a long and prolific career — I guess it makes sense that the album is so massive. How did you decide what you wanted on there? Are these your favorites? Jack White: We had a list that was, I think, three hours long, and just kept whittling it down to things that made more sense and were more, straight up, from me. It was sort of an idea to put together a record to show where all these things begin, you know? A lot of these songs begin on piano, they begin on acoustic guitar, in a room by yourself somewhere — and then you bring them to wherever you go. If you’re part of a band at that time, or you’re part of the production of an album, then they become part of a bigger picture. But they start off as one person in a room. So that I understand this: Everything on this album was already cut as acoustic? Or were there some things that you looked back at and thought, “I could do this unplugged and it would sound pretty good”? Well, I wanted a record that would showcase songwriting throughout the years, and the acoustic angle was the best way to go about that, to get away from the “Jack White as an electric guitar player” thing. Initially I thought this could be just all the studio recordings over the years. But then I started finding certain things — say, a Raconteurs song that I wrote called “Carolina Drama,” which started on acoustic guitar and turned into a full-band thing with organ and acoustic guitar and drums and electric bass. I thought: Well, why don’t we strip that back and take those elements out, and let people hear the way it started off? Does a song have to have a stronger spine, a stronger skeleton, when it’s stripped down to voice and guitar? When you don’t have all that other stuff going on? Yeah, I think sometimes we would — especially songs in The White Stripes, they could only be electric because it was a two-piece band and some things just didn’t work. It’s not a vibe of, “I’m going to re-record all these songs unplugged, on a stage in front of people.” It’s just — I’ve never done a compilation before. It was an experiment for me, to see if I liked the idea. And as it was coming along, it did start to sound like its own album to me. You’re a well sought-after collaborator — across a couple of genres, too, from Loretta Lynn to Beyoncé. What do you look for when choosing a project like that, or when people come looking for you? I have to be able to feel like I can bring something to the table. There’s been some incredible offers at times to produce an album, and you know it would be a No. 1 record — but at the same time I felt like: Well, I just don’t think I can bring anything to the table for that person. I have to be able to feel like I can help bring the best out of them. That’s your job as a producer. You’re a business partner with Jay Z in his Tidal streaming service as well. Is that how Beyoncé got the idea of coming over and ringing your bell? You know, I just talked to her and she said, “I wanna be in a band with you.” [Laughs.] I said, “Really? Well, I’d love to do something.” I’ve always loved her voice — I mean, I think she has the kind of soul singing voice of the days of Betty Davis or Aretha Franklin. She took just sort of a sketch of a lyrical outline and turned into the most bodacious, vicious, incredible song. I don’t even know what you’d classify it as — soul, rock and roll, whatever. “Don’t Hurt Yourself” is incredibly intense; I’m so amazed at what she did with it. I want to talk a little bit about Detroit, because it’s so tied to your identity. You’re famously from there, but you’re now living in Nashville. Yeah, I moved to Nashville about 10, 11 years ago and we started Third Man Records’ headquarters there. We now have a second location in Detroit. And what’s more important right now is, we’re currently building a brand-new pressing plant in Detroit connected to that location, so it’ll be the first time in a record store you can look through a window and see the records being pressed in the back. You’ve been a champion of vinyl, and continuing to put recorded music on vinyl. For people who’ve grown up in a post-vinyl world, what are they missing? What was great about being able to drop a needle on a record? Well, Ray, I’d like to be known as the czar of vinyl if you don’t mind [laughs]. I always think it’s beautiful to look at something mechanically moving, and I think you’re more involved in it. I think when you look at a campfire, you feel blessed, and you don’t know why you’re staring at it and why you feel so involved. Yes, you can play things on computers and you can lip synch, and people can still get something out of it. But you’re more involved when you see mechanics and you see things turning. Oh, there was never — you know, Detroit is a tough, blue-collar city. It’s in the rust belt; all those towns are tough. So being an artist in those towns, it’s not like you’re in the south of France in a field of poppies or whatever. You’re in a working town, and I worked hard in those towns. It’s about building things and letting people see things being really made in a town that has always been known for creating and crafting beautiful mechanics. As it says on the flag of Detroit, it says in Latin, “We hope to rise from the ashes.” And I think that’s probably the most prophetic phrase on any flag in the country. The legal battle over the Texas voter ID law is a fight that just won’t end. The law was passed by the state’s Republican-led legislature in 2011. It immediately became one of the strictest photo ID laws in the country. And the law has been in and out of courts ever since. “There is some considerable evidence that it was adopted with the purpose to prevent certain voters from voting,” Dunn says. He says judges ruled the Texas law made it harder for minorities to vote. That’s why the state was forced to change the law before the presidential election. As a result, voters without one of the seven photo IDs required by the state now have some wiggle room. They can present alternative forms of ID — like a voter registration card. And Dunn says they just have to sign a document saying they had trouble getting a Texas photo ID. “And if they have an impediment to getting an ID — a reasonable impediment to getting an ID — they shouldn’t fear at all coming into a polling location and filling out a declaration and casting that full ballot they are entitled to,” Dunn says. 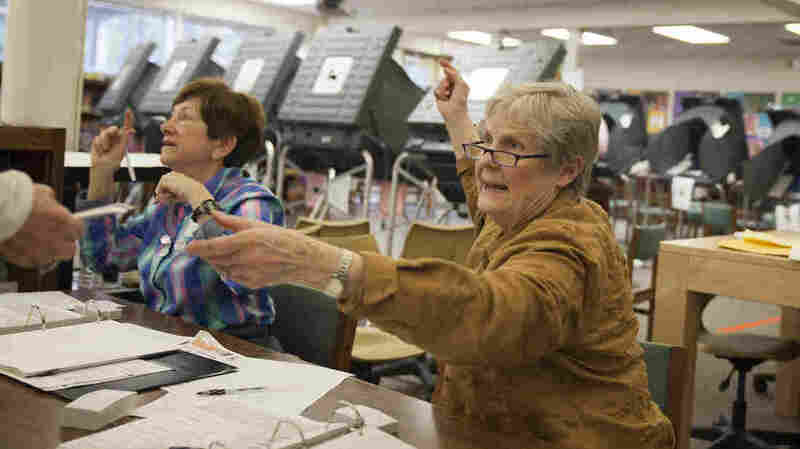 A federal judge ordered the the state to communicate these changes to voters. And that’s where things have hit a snag: The state is accused of using language that doesn’t stress that people without a photo ID can now vote. Cinde Weatherby, who’s with a local chapter of the League of Women Voters, uses simpler phrasing in her voter handouts. She says if voters don’t have an ID, they’ll still be able to vote. And when asked what the big difference here is, she says it’s perspective. “We are trying to look at it from a positive rather than a negative. I guess that’s the basic answer,” Weatherby says. The U.S. Justice Department and the plaintiffs in the case say it’s more than just perspective that’s a problem here. There are lot more voters who have trouble getting an ID than voters who can’t get one at all. Ezra Rosenberg, another attorney representing the Texas voters challenging the state’s law, says this could have ramifications come November. If people have inaccurate information as to whether they are allowed to vote, they may decide not to vote. That’s why we want to clear this up. “If people have inaccurate information as to whether they are allowed to vote, they may decide not to vote. That’s why we want to clear this up,” Rosenberg says. Texas election officials aren’t commenting on this. There’s a hearing set for later this month. While the court figures all this out, groups are frantically trying to spread the word before the state’s voter registration deadline on October 11th. Texas has one of the lowest voter participation rates in the country. In 2012, less than 50 percent of eligible voters in Texas went to the polls — well below the national average. Cinde Weatherby says that’s why voting rights advocates are working hard to let people know the law is different now. State election officials say they plan on unveiling an ad campaign to tell voters what they will need at the polls. But that campaign won’t start until October. As Cuba loosens state controls and more tourists come in from the United States, life will change for quiet coastal towns. Former legal affairs reporter Dan Slater’s new book Wolf Boys tells the true story of two American teenagers recruited to a Mexican drug cartel, and the Texas detective obsessed with capturing them. After Sept. 11, 2001, there was a spike in hate crimes against Muslim Americans. Now, on the 15th anniversary of the terror attacks, Muslim leaders say Islamophobia is cresting once again. A string of recent murders in New York City has left the city’s Muslim residents on edge. 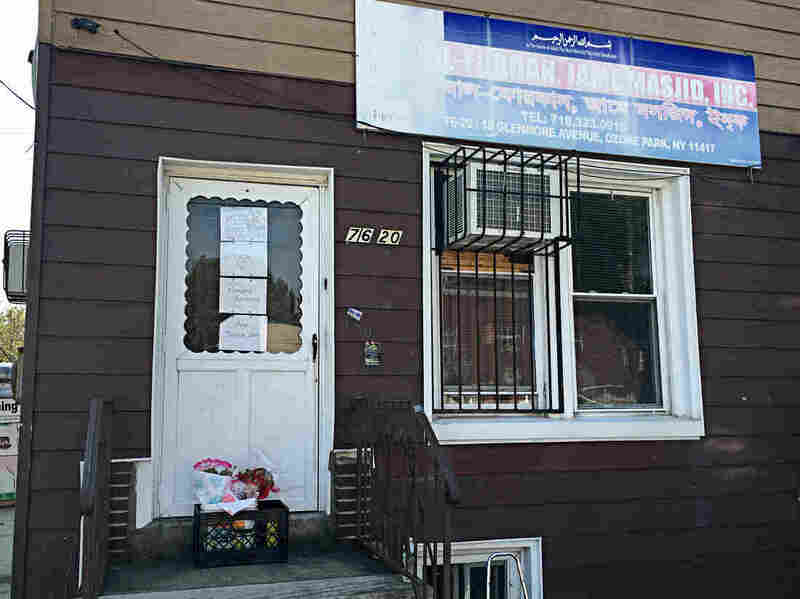 Imam Maulama Akonjee and an associate were walking home from this mosque on a Saturday afternoon when they were both shot from behind, execution-style, on a busy street. The suspect is facing murder charges, though prosecutors declined to charge him with a hate crime, which can be difficult to prove. But to Bazlur Rahman, it’s hard to see this any other way. The imam had an iPhone and a significant amount of cash in his pockets when he was killed. The alleged killer didn’t take either. But again, community leaders are skeptical because none of her possessions were taken. The killings are related, Najmi and others say, to the heated rhetoric of the presidential race. Republican nominee Donald Trump says he saw “thousands” of Muslims celebrating in New Jersey on Sept. 11, 2001. There’s no evidence that Trump’s claim is true. But Najmi says those words can still have real effects. But some Muslim leaders say there may be another consequence of Trump’s rhetoric — one the candidate himself probably didn’t intend. Azra Baig hands out voter registration forms after Friday prayers at Masjid Al-Wali, a large mosque in central New Jersey, where politics hasn’t always been a priority for Muslims. Many are first- or second-generation Americans, whose families came from countries where voting may be just a token exercise. But Muslim leaders hope this year will be different. 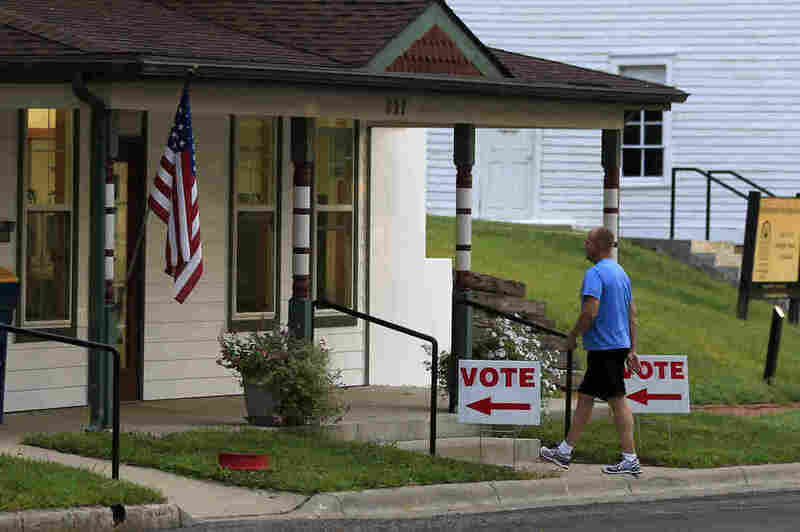 In New Jersey, they’re making a push to register voters ahead of the November election. And they’re using Donald Trump’s words as motivation. But that awakening can only happen one new voter at a time. 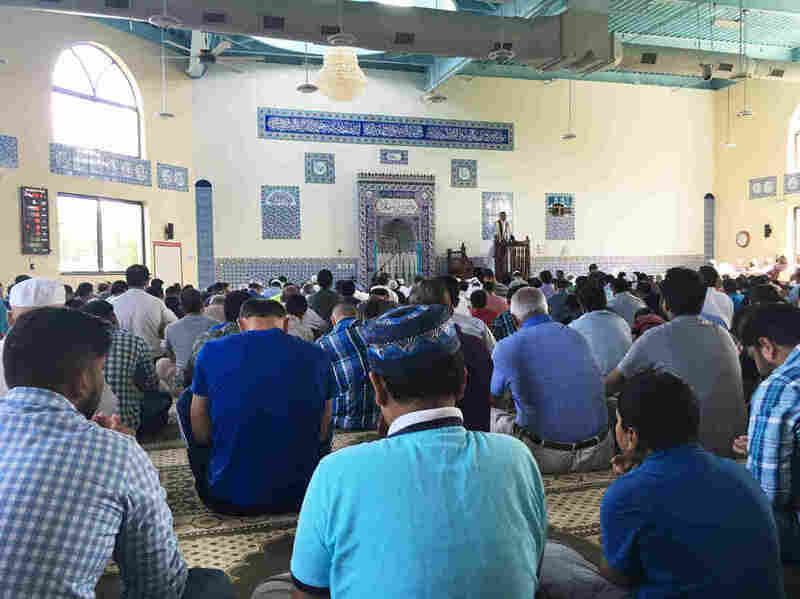 At Friday prayers in Edison, Azra Baig was busy. 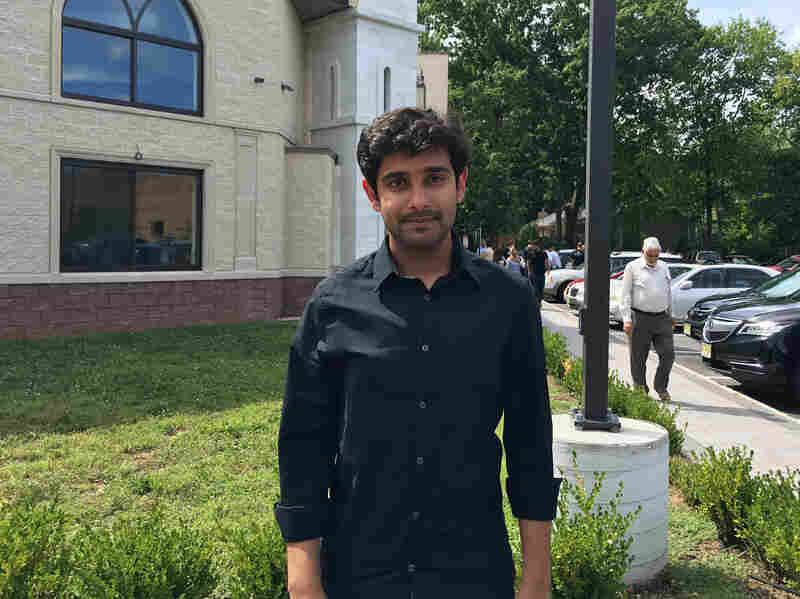 Baig and others are planning a registration push across New Jersey on Monday during the Eid al-Adha holiday. I am rubber. You are glue. Whatever you say bounces off me and sticks to you. At least, that seemed to be the case at a campaign rally Friday night in Pensacola, Florida. During his speech, several of the more inflammatory attacks lobbed at his running mate appeared to be direct projections of criticisms once aimed at himself. At the rally, Trump said that the only thing Clinton has done well is keeping herself out of trouble. He was specifically referencing the Department of Justice investigation of Clinton’s private email server. In response to “lock her up” chants from the crowd, Trump seemed to veer off his prepared speech. That assertion mirrors something the GOP nominee said about himself — one that many people found shocking at the time. “I could stand in the middle of Fifth Avenue and shoot somebody, and I wouldn’t lose any voters.” Trump said at a campaign event in Sioux Center, Iowa, nearly nine months ago. 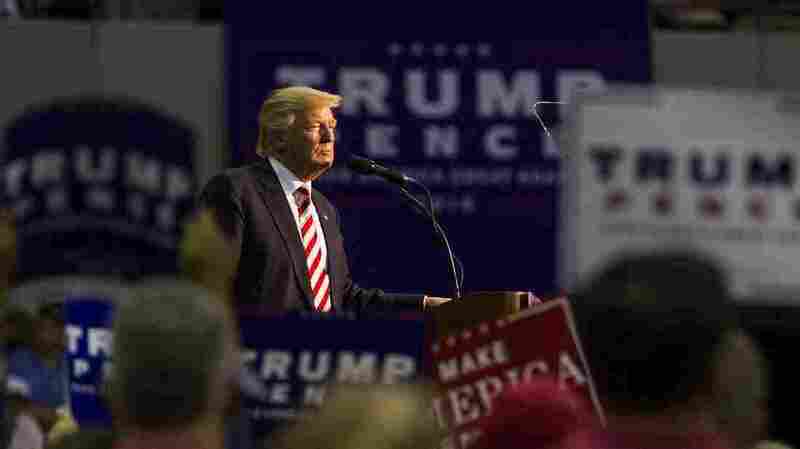 Later in Friday’s speech, Trump echoed another talking point from the campaign trail. This time, he bent a criticism that’s been aimed at him back onto her. “This is not someone who should ever have the nuclear codes — because it’s not hard to imagine Donald Trump leading us into a war just because somebody got under his very thin skin,” she said during a June speech on national security. Trump’s projection of criticism of himself onto others has developed into a pattern recently. Last week, the GOP candidate criticized Clinton for not providing specific policy details, even though she had released a 288 page book detailing her proposed policies that same day, according to NPR’s Tamara Keith. Not providing concrete policy plans is a criticism Clinton often brings up about her opponent. Hillary Clinton’s short speech is pandering to the worst instincts in our society. She should be ashamed of herself! For the rest of Friday night in Florida, Trump mostly stayed on his standard messages, both those in line with traditional conservative values and his own lines: he’ll build the wall (Mexico will pay) and it wouldn’t be so bad to be friendly with Russia. “With Iran, when they circle our beautiful destroyers with their little boats and they make gestures at our people that they shouldn’t be allowed to make, they will be shot out of the water,” Trump told the crowd. Bloomberg reporter Jennifer Jacobs tweeted that this remark, along with the earlier comment that Clinton could shoot someone and not be prosecuted, were both instances when Trump went off teleprompter. Most of shooting language off script. “She’s trigger-happy” was in teleprompter. Shooting Iranians, Clinton shooting someone = ad-libbed. Newby approved the three states’ request for the proof-of-citizenship requirement in January, which meant that voters registering had to show documentation such as a birth certificate or a passport. In Kansas, the requirement disproportionately impacted people under 30, the elderly, and those living in urban areas, as The Wichita Eagle’s Brian Lowry told Weekend Edition Sunday last month. This dispute is distinct from the many other voter ID fights playing out across the country, as Pam reported back in February. “Unlike most voter ID conflicts — which involve showing identification at the polls — this comes earlier in the process, when residents are first registering to vote,” Pam said. Friday’s ruling, which was handed down by the U.S. Court of Appeals for the District of Columbia, grants the preliminary injunction after a district court denied the motion. The ruling states that the case had a “likelihood of success on merits” and that the League had shown the requirement caused “irreparable harm.” Now, the case will go back to the district court. The ruling orders the Commission to promptly remove “from the state-specific instructions those requirements directing voter registration applicants to submit proof of their U.S. citizenship.” Forms submitted since the requirement was introduced in January “should be treated as if they did not contain the now-stricken state-specific instructions,” it says. Kansas is the only state of the three that has actually been enforcing the proof-of-citizenship requirement, according to the AP. And as Pam reported, Newby (who is from Kansas) weighed in on the requirement after a major battle was already playing out in the state. Kansas Secretary of State Kris Kobach led the push for citizenship requirement, and it is “being challenged in several lawsuits at both the state and federal level,” according to The Wichita Eagle. In January a state judge “ruled that Kansas Secretary of State Kris Kobach could not enforce the proof-of-citizenship requirement for those who use the federal form.” It was then that Newby accepted the change in instructions for the form. Additionally, a federal judge ruled in May that “some 18,000 people who registered at the state’s motor vehicle offices and did not provide such documents should be allowed to vote in federal elections on Nov. 8,” as Pam reported. Today, the Sugars are joined by the visual artist and writer Cooper Lee Bombardier, who is a transgender man. In the second of two posts about living as a transgender person, the Sugars respond to a transgender man who sometimes feels that love is out of reach. How do I get over the fear that I’ll never find love? When I type that out, it seems absurd, even to me. I know many people feel the same way at times and that people who open themselves up to love are generally likely to find it. But I don’t feel that to be true in my heart, and here’s why: I’m a transgender man. I can’t help but feel that being trans makes me an exception to the general rules about love. I know that I’m lovable and deserving of love, but I can’t imagine that someone will get through the initial phases of attraction to learn what I have to offer. I have a lot of female friends who talk about wanting men who are well-endowed in height, in their wallet size, and in their pants. Obviously I’m out of luck on the last one, but I’m also out of luck on the others. I’m 5 feet 2 inches tall because I went through female puberty, and I make social worker pay. I’ve internalized the message that no woman is going to be attracted to me as I am, so what good is my great personality? I imagine women say these things partly to flip the typical narrative of men placing impossible standards on women. And I get it, but it kills my self-esteem. I’ve been in therapy before and throughout my transition and I have attempted to work on my self-esteem issues. But regardless of the progress I’m making, every failed attempt at courtship sets me back to hopelessness. If giving up on love were an option for me, I probably would have done it by now, but my big heart won’t quit. I want to be a warrior for love, as Cheryl suggests, but right now I feel like I ran into battle without my armor. Can you help me figure out how to defeat the monster that is hopelessness? Cheryl Strayed: As the person who wrote that phrase, “Be a warrior for love,” AWFL, I want to say you are a warrior for love. The whole message is about running into battle without your armor. That’s what being a warrior for love is. It’s about being vulnerable, it’s about taking risks, it’s about being brave and emotionally intelligent and not trying to find adversaries. It’s trying to really open your heart, and you’ve done that beautifully. Cooper Lee Bombardier: I think that it’s just part of the process that you go out there without your armor and you get squished, and sometimes I feel a little bit bummed about my failed relationships. But then I also think: Well, where did it bring me in terms of my evolution as a human being and my ability to relate to others? It might not have worked out, but it did push me along on my path of being able to do better. The willingness to just keep trying is the right thing. So many of us, we have our lists of perceived inadequacies, and we think: Oh, this isn’t going to work because I don’t have any money, because I’m too short, etc. Spend less time listening to those messages. Spend time in places where people are exhibiting other values. Cheryl: We answer this question over and over: Am I too fat to be loved? No. Am I too poor to be loved? No. Am I too fill-in-the-blank to be loved? No. I also think it’s true that some people are going to not want to date you, AWFL, because of your height. And what’s kind of cool and beautiful about that is, think of it like a winnowing process. You don’t want to date those people anyway, right? Steve Almond: Stop treating yourself as damaged goods and figure out that some beauty is out there waiting for you and wants what you have. And that is knowing who you are, humility and the strength to go through this transition. 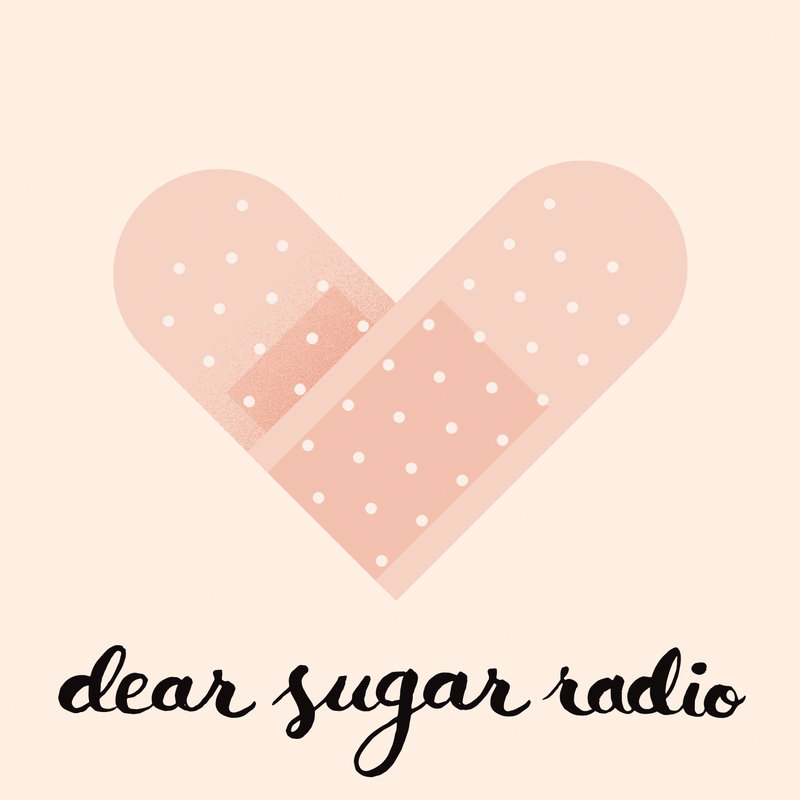 You can get more advice from the Sugars each week on Dear Sugar Radio from WBUR. Listen to the whole episode to hear from another transgender man who feels weighed down by an unsupportive mother. Linda Holmes is filing dispatches from the Toronto International Film Festival. These movies will see wider release in the coming months. Tom Ford (the fashion designer) surprised a fair number of folks with his very good first feature as a director, A Single Man, in 2009. It was gorgeous to look at, as one might expect, but it was also deeply felt, thanks in part to a strong central performance from Colin Firth. Fast forward to 2016. Ford’s second directorial effort, Nocturnal Animals, based on Austin Wright’s novel Tony & Susan, nests one story inside another. We begin with the life of Susan (Amy Adams), an icy, bored gallery owner who’s surprised to get a copy of her first husband Edward’s new novel, which she sits down to read while her second husband is away. We then follow the story inside that novel, in which Tony (Jake Gyllenhaal) and his wife (Isla Fisher) and daughter get involved in a road rage incident that ends in violence, sending Tony off to team up with a laconic police officer (Michael Shannon) to find the perpetrators. (How laconic is he? My note was “laconic,” and then I read the press notes, which also say “laconic.” Laconic kinda guy, is the point.) Gyllenhaal also plays Edward in Susan’s flashbacks, and Isla Fisher looks about as much like Amy Adams as any actor ever looks like another, so Ford is being fairly straightforward about the fact that Edward’s novel is his working out of his feelings about his marriage to Susan. Tony’s story is more interesting than Susan’s. The part of the film focused on her is very beautiful but very sterile, so glossy and perfectly arranged that it looks like advertorial content for premium liquor. It’s closer to what skeptics might have expected from Tom Ford (the fashion designer) before they saw Tom Ford’s first film: it’s preoccupied with arrangements of bodies and faces and the red curtain of Amy Adams’ hair to the point where the story it’s telling feels almost irrelevant. Tony’s part of the movie is more engaging, and the opening sequence with his family is as terrifying and suspenseful as it needs to be. Where the script falls short is in tying the stories together and placing them in dialogue with each other, which it needs to do to make the whole satisfying. What emerges is a superficial textual connection where when you hear a man called “weak” in one scene, you can guarantee you will hear it in another, maybe in a couple of others. I wanted to like the film better than I did out of appreciation for its succession of beautiful pictures and for the very good (and often unexpectedly funny) Michael Shannon performance. It just didn’t quite hold together. Denis Villeneuve (Incendies, Prisoners, Enemy) tends to make intensely personal dramas about terribly difficult choices, and thus doesn’t seem like a natural director for a film about aliens landing in 12 spaceships spread across the world and the humans trying to communicate with them. 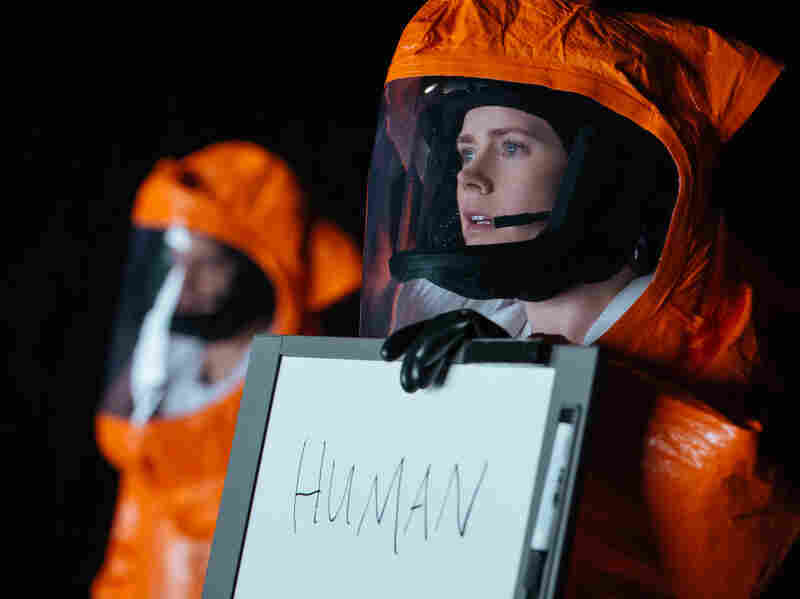 And early on, it’s an alien movie paced like a meditative drama, making for some very long and (yes, artfully) slow scenes of Amy Adams and Jeremy Renner as a linguist and a scientist being recruited to work on communicating with the new neighbors and taken aboard the vessel that’s landed in Montana. As Louise (Adams) works to establish some kind of basis for communication with creatures that sound a little like the adults in Charlie Brown cartoons, the story starts to come into sharper focus. It wouldn’t be fair to talk too much about its narrative turns, but once it reaches the third act and begins to do its thematic work more openly, Arrival does have very Villeneuve-ian elements, if that’s a non-word we can use. Again, there are choices; again, there are losses. At the risk of being the kind of person who insists every sports movie is not about sports, this is not exactly a film about aliens. I mean, it is a film about aliens, but like lots of the best movies about aliens (Close Encounters Of The Third Kind, for instance), it’s really a film about the disruption of your own universe and how you proceed. Of the two Amy Adams films I saw today, I liked this one significantly more. It’s a shame that there are so many undercooked, cheaply paid off films about kids dealing with sadness, because the world needs good films about kids dealing with sadness, and this adaptation of Patrick Ness’ novel is one. Lewis MacDougall plays Connor, an English boy whose single mother (Felicity Jones) is dying. There are times in movies, and in real life, where you just look at someone and say to yourself, “That poor kid.” Connor is like that. His mom is sick, his grandmother (Sigourney Weaver) is hovering but cold, his dad (Toby Kebbell) is sort of a lovable flake who mostly lives in America now, and at school, the bullies are picking on him. Connor is, however, creative and decent, and he’s surprised when he suddenly begins receiving visits from a monster in the shape of a tree near his house (voiced quite wonderfully by Liam Neeson). The monster wants to tell Connor some stories, and then he needs Connor to tell a story, too. The stories from the monster are animated in an unusual but beautiful watercolor style, perhaps signaling that now that we have near-realistic CGI and that point’s been made, there’s much more to do with animation than simply try to get as literal as possible. There are so many familiar beats here — mom growing thin and pale and losing her hair, son not wanting to hear her negative prognosis from anyone — that I felt a vague unease that while the film’s animation sequences are gorgeous and its monster is really compelling, it wouldn’t have much to say about its actual story that hasn’t been heard before. But in fact, a climactic scene between Connor and his monster does strike some sophisticated chords, to the point where the story is probably a little heavy for really little kids; maybe better for elementary-school kids. Director J.A. Bayona, working from a screenplay Ness wrote, has done a lot of beautiful work here, often deeply sad but also thoughtful and fair about Connor’s situation. It is a tear-jerker, in the final analysis. I have a few rules for evaluating movies where I cry (as I did here), and one of them is that I feel better about the complexity of a film’s sentiments when I cry not only at the saddest moments, but also at moments of forgiveness and generosity and grace. 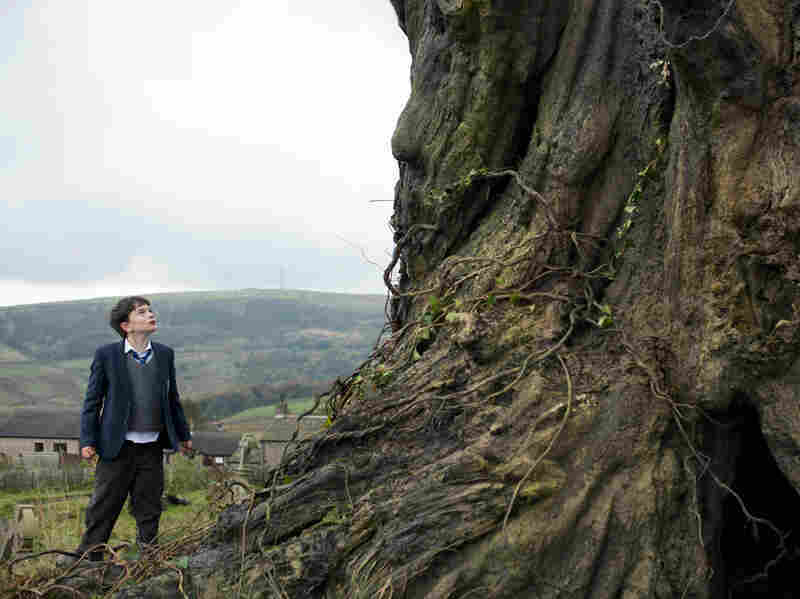 A Monster Calls passed that test. Bring some tissues. As the title suggests, there’s a loose connection to A Midsummer Night’s Dream in this Argentinian film directed by Matías Piñeiro, who’s previously made films riffing on other Shakespeare plays, including Twelfth Night and Love’s Labour’s Lost. 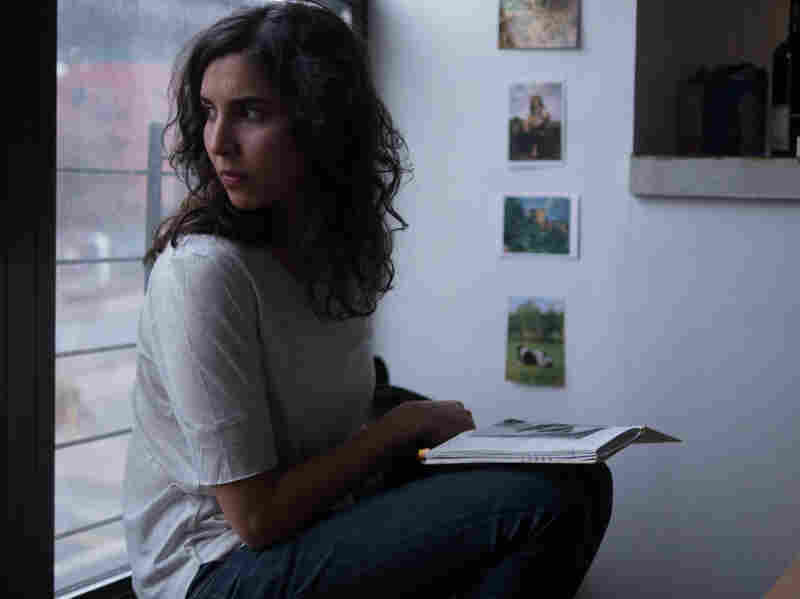 Here, we follow Camila, a Buenos Aires woman who gets a fellowship to New York and encounters (or re-encounters) a variety of people, including a woman who thinks she’s road-tripping to visit the woman who used to live in Camila’s apartment, a man who works at the institute where the fellowship is who seems to recruit girlfriends from among the fellows, and an old boyfriend who apparently has just been waiting for her to return. While it’s meant to be a chatty and loose film by its very nature, most of the first two-thirds left me a little cold. Piñeiro does seem to be playing with Midsummer, but where that play is whimsical and light, the film is regrettably flat. But then, toward the end, Camila visits a man from her family’s past, and the scene they have together is so natural and so deeply human that it shifts the entire tone of the film and of Camila’s character. This is the way of some festival films, I find. Because the vision behind them often feels more personal and specific, there’s a greater chance that it will seem strange or incomplete. But that specificity and idiosyncratic imperfection also often means that films that seem like they’re not working can suddenly make a sharp turn down another path. Yet America’s schools — where collective memory is shaped — are now full of students who never knew. Because they weren’t alive 15 years ago. As such, many teachers struggle with whether and how to teach the attacks and their aftermath. And when they are taught, critics say, it’s often through a narrow lens. Like a lot of middle schools, Greenfield didn’t used to teach much about that day, let alone the “anything else.“ Often, the school would observe a moment of silence at anniversary time and follow with a brief class discussion. “We have never really tackled the issue before,” says Greenfield Principal Gary Tashjian. But that’s changing. This school year, Greenfield students as well as their teachers and administrators are being asked to read and discuss a new young adult novel called Towers Falling by Jewell Parker Rhodes. Dèja knows the attacks have cast a shadow over her life, but she doesn’t know much about them. So she and her friends set out to discover more. It’s not clear how big that conversation will get at Greenfield. The school is encouraging the entire town to read the novel. “My first reaction was to say, ‘No way, can’t go there. It’s too sensitive and parents will give a lot of pushback,’ ” says Angela Ruggeri, Greenfield’s assistant principal. Teachers hope the book provides jumping-off points for talking about the more difficult issues “beyond the events of that one day to really thinking deeply about what it means to them to be an American citizen,” says Ashley Fitzroy, a literacy and technology teacher at the school. The middle school is something of an outlier nationally for starting a schoolwide conversation. The majority of schools that do “go there” often focus on the shock and horror of the attacks and the heroism of the first responders. “The narrative about 9/11 that students are getting is really ahistorical,” says Cheryl Duckworth. “It has no context. It’s very thin.” Duckworth surveyed more than 150 teachers and interviewed several dozen in depth for her work 9/11 and Collective Memory in US Classrooms. Duckworth, a professor of conflict resolution at Florida’s Nova Southeastern University, found that only about 20 states include content about Sept. 11 in their high school social studies curriculum. And in about half of those states, she says, the topic is covered in a mostly cursory way. The National Council for the Social Studies doesn’t track data on how the attacks are taught in schools or their place in curricula. 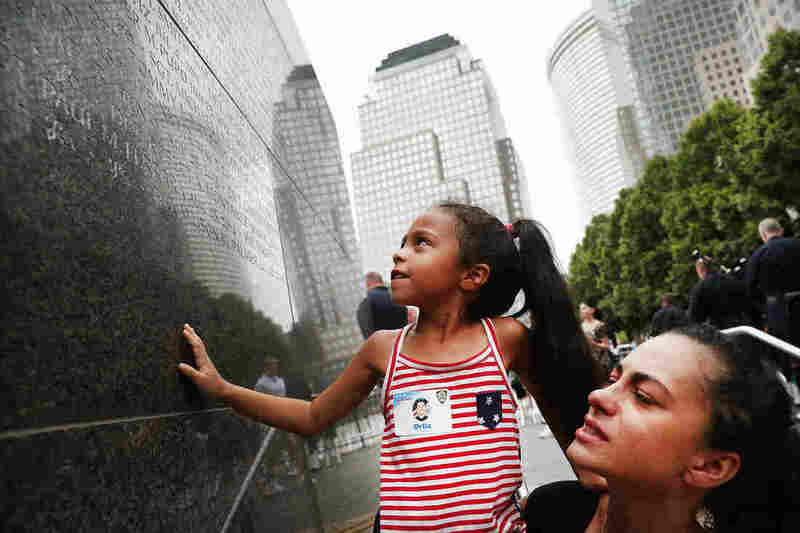 Duckworth found that if Sept. 11 is addressed in classrooms, too often teachers don’t want to tackle the complex, often ugly aftermath at home and globally: the wars in Iraq and Afghanistan; the Patriot Act and civil liberties; radical Islam and Islamophobia. If we don’t address Sept. 11 in all its complexity, she says, stereotypes and misinformation will continue on both sides.